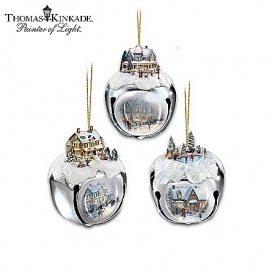 Revisit Cinderella's magical moments with Thomas Kinkade's Cinderella! 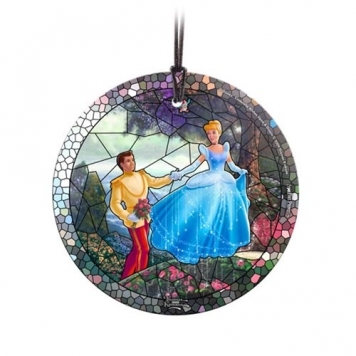 This Disney Cinderella Stained Glass Effect Thomas Kinkade Starfire Prints Glass Ornament is illuminated in natural light, emphasizing the stained-glass style and the sparkle of magic that surrounds Cinderella and her prince. 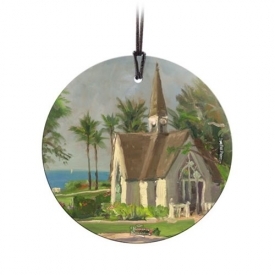 Translucent yet vibrant with color, the light-catching properties of the glass ornament illuminate the image and make for a perfect Christmas tree ornament or year-round d‚cor, and it comes with a hanging string for easy display. Magic and love are for all seasons!ÿ StarFire Prints hanging glass are photographic quality prints on translucent glass. 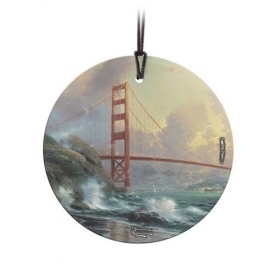 Featuring artwork from your favorite movies and more, they're an elegant way to display your fandom to the world. The images are permanently fused into the glass, resulting in a semi-translucent print that captures the natural light, enhancing the color display and making each image a true piece of art. The glass is scratch and fade resistant and arrives to you ready for display.